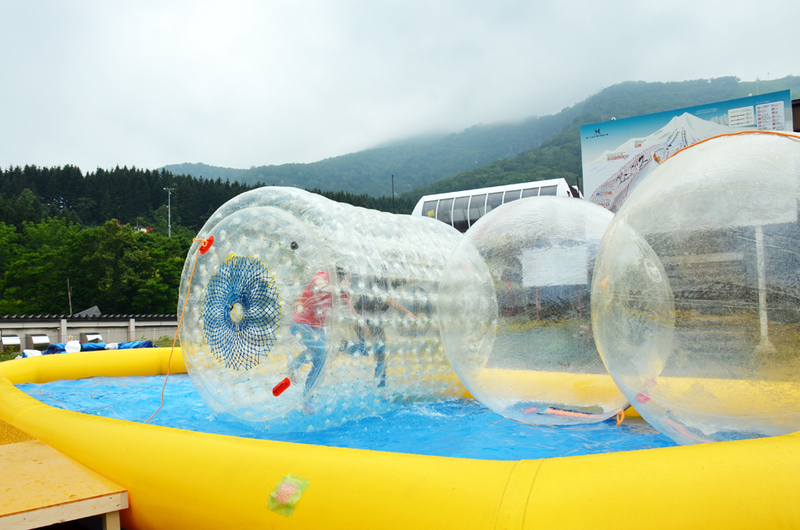 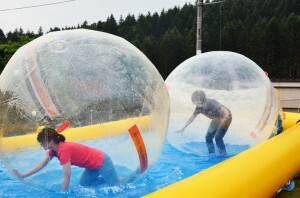 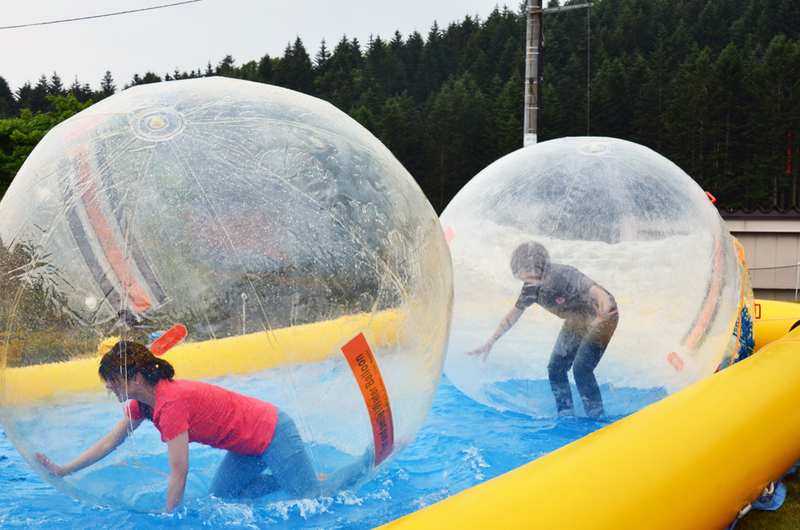 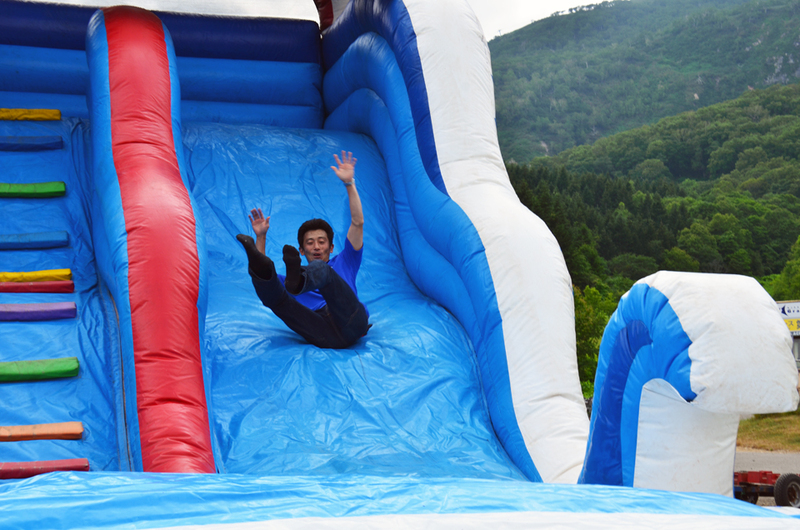 This summer, on July 19, “Grand HIRAFU Kids Park” will make its first appearance in front of Hotel Niseko Alpen! 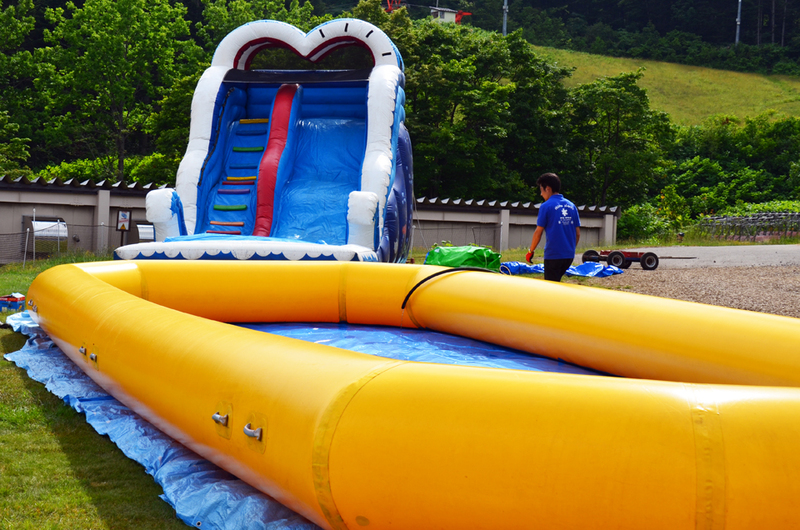 We’ve prepared a range of play equipment – the bouncy “Big Wave Slider”, the “Big Roller”, which you can use to roll along on the water’s surface, and the “Water Balloon”, an entirely new kind of aquatic attraction. Grand HIRAFU’s getting more and more fun for family visits! 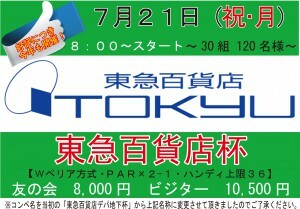 What’s more, during the “OHIROME Festa” being held on the opening day, July 19, we’ll be offering special discount fees! 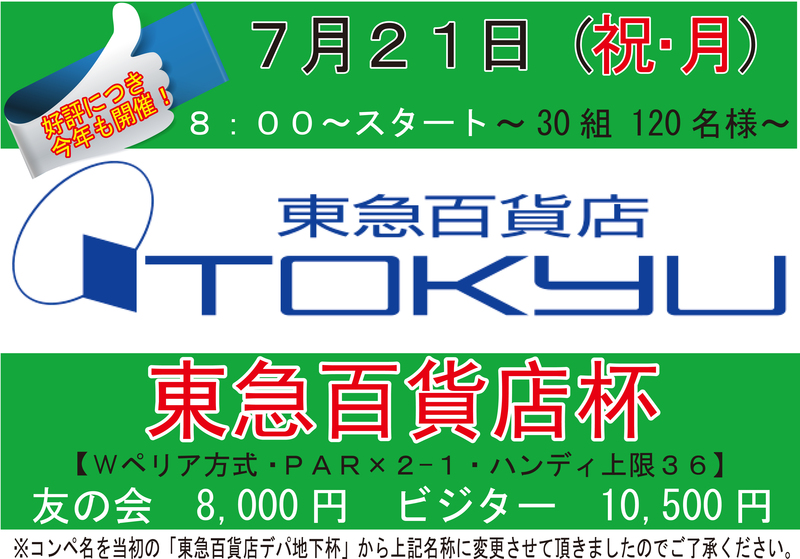 You can use the Big Wave Slider for 200 yen per person, and the Big Roller and Water Balloon for 400 yen, for 1, 2 or more people!